Drying chambers are used whenever sensitive objects or materials need to be protected against humidity. They are also indispensable when it comes to testing materials. The wide range of applications can make it difficult to choose the right chamber. 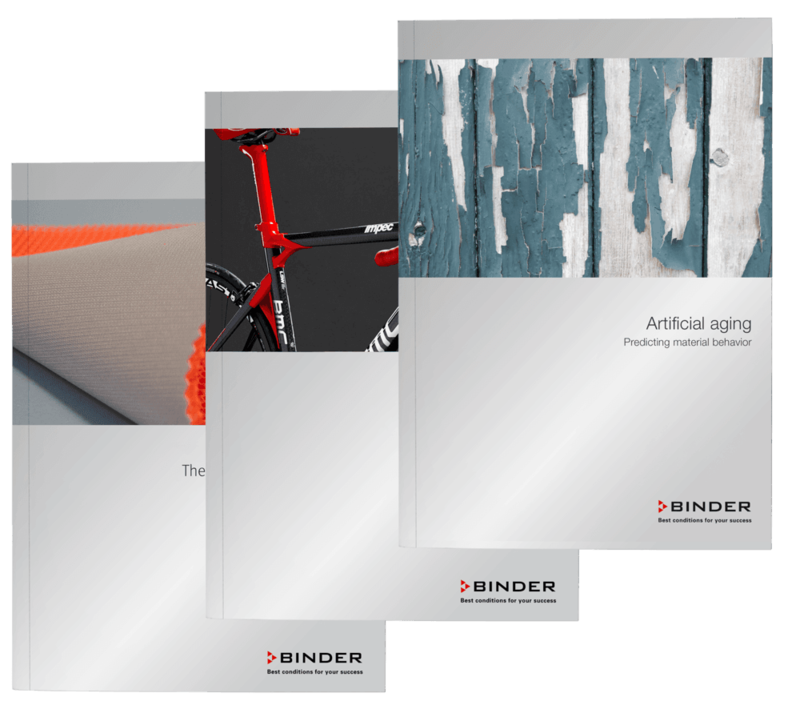 BINDER is happy to share its expertise with you so you have all the information you need before you make a purchase. Let’s start with the basics. Definition: What is a drying chamber? Drying chambers are used whenever a particularly low level of humidity is required, whether it is for storing food or dehumidifying test objects. Alongside drying and storage, modern drying chambers also enable more complex applications, such as simulating aging processes and carrying out general material testing. Whereas conventional units generally only allow you to adjust the temperature – in a similar way to a traditional electric oven – drying chambers also offer active humidity regulation. This makes it possible, for example, to dehumidify objects even at an ambient temperature of +5°C, which is a crucial advantage in the case of electronic components in particular. The temperature range of drying chambers is therefore generally between an ambient temperature of +5°C as the lower limit and around 300°C as the upper limit. In fact, there are already units which can go beyond that and enable temperatures below 0°C. The sizes of drying chambers vary significantly between applications. The smallest units hold around 30 liters while the largest can hold several hundred liters. For even larger applications, for example in the field of vehicle construction, facilities known as dry rooms are used. 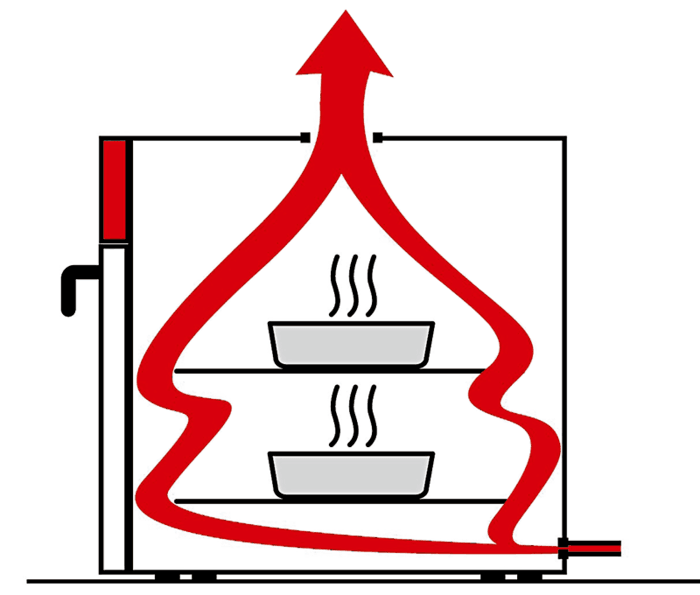 The basic heating technology of a drying chamber largely corresponds to that of an electric oven. However, drying processes that work exclusively by means of high temperatures also result in some unwanted side effects. Electronic components, for example, are exposed to enormous thermal stress during heat drying and lose some of their conductivity as a result. In order to prevent such effects, drying processes that also work at lower temperatures are used. At a relative humidity of less than 5 percent, the vapor pressure difference reaches a level at which the water molecules of the test specimen or stored material overcome its adhesive forces and escape into the process air. A drying process takes place. If this process is accelerated and the atmosphere in the interior is lowered to 1 – 2 percent relative humidity, a moisture vacuum is created. The moisture absorbed by the test specimen or stored material is immediately released back into the process air – what is known as a re-drying process takes place. This is particularly gentle on the test specimen or stored material as it is not exposed to any thermal stress. This procedure is ideal for drying and storing metal components and electronics as it eliminates the risk of oxidation and the danger of intermetallic growth. Moderate heating can reduce the drying time even further; tempering at high temperatures is no longer required. This method goes beyond the purely thermal procedure and is used particularly for sensitive materials, foodstuffs, and chemicals. In this procedure, the test specimen or stored material is subjected to a reduced pressure environment, which lowers the boiling point. This causes the water contained in the material to evaporate even at low temperatures. As the evaporation heat is taken away at the same time as the now humid air, the temperature must be constantly readjusted. Do you have questions about the construction and operating principles of drying chambers? Do you want to know which factors you need to consider when buying a chamber? Find out more about BINDER drying chambers here! Elevated temperatures can be used to test the durability of materials. In the case of cables, for example, shrinkage occurs over the years due to drying processes. A longer period of use can be simulated in a drying chamber. This makes it possible to test the material under realistic conditions. In this way, excessive shrinkage, cracks, or evaporations can be detected and prevented in advance. A very similar area of application is that of thermoplastic composite testing. All downloads relating to BINDER drying chambers in one bundle! Carbon frames for racing bikes, encapsulant material, programmable light-emitting textiles – the range of objects to be tested in drying chambers is extremely diverse. In the case of artificial aging in particular, drying chambers enable precise quality analysis. A wide range of information on application examples and test procedures is available here. Das BINDER Cross-Flow-Prinzip garantiert eine gleichmäßige Durchströmung von unten nach oben. What are the applicable guidelines when working with drying chambers? 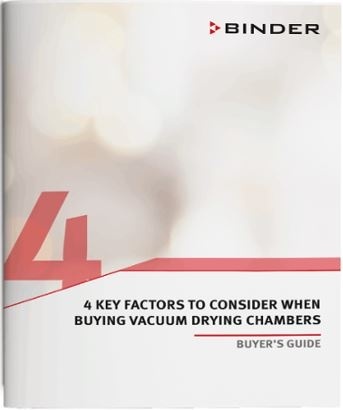 When buying your drying chamber, the most important thing to bear in mind is the recovery time after the door is opened. This is governed by a specific standard in the context of standardized material testing. In order to check the reference values, the door of the drying chamber is opened for 30 seconds at the highest test temperature once the steady state has been reached. The temperature is then measured in the center of the usable space until it falls to the corresponding value. These values are regulated in DIN 12880:2007-05. The time it takes to reach the specified limit deviation is determined. When purchasing your drying chamber, pay attention to the technical data and manufacturer information regarding temperature homogeneity and temperature stability. In Germany, DIN 12880:2007-05 governs the testing of heating chambers and incubators. It regulates the measurement setup used to determine these two parameters, the heating up times and cooling down times, and the recovery times after the door is opened. 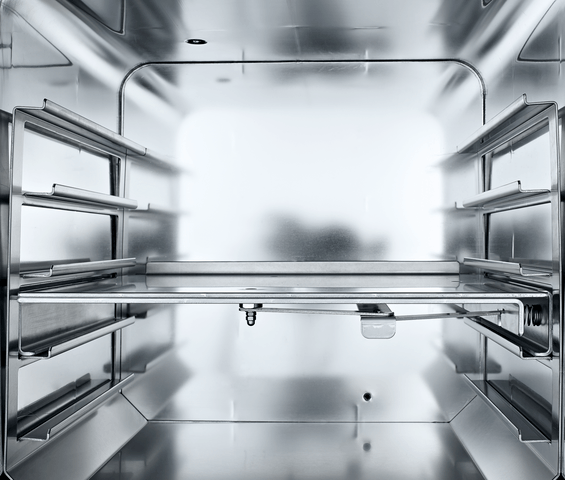 What else should you bear in mind when choosing your drying chamber? In the majority of applications, from industrial use to medical research, the drying chamber is in operation every day, virtually round the clock. The unit therefore needs to be highly reliable. A small number of manufacturers have proven themselves over the long term in practical applications. The more demanding your application, the more you need to prioritize quality when it comes to buying your drying chamber. In the case of temperature and aging tests in particular, homogeneous temperature distribution is of paramount importance. This can be ensured both with free convection and with forced-convection systems. BINDER drying chambers are available in both variants depending on your individual requirements. A factor that is often underestimated when buying laboratory equipment is practical handling. Drying chambers are used on a daily basis and should be easy to load and as mobile as possible. Drying chambers on casters can be moved around quickly, which can be particularly helpful if you need to make room during long test series. The drying chamber should feature a viewing window and, ideally, interior lighting so the visual inspection of the material can take place during the drying process rather than having to wait until it has finished. You should also consider the noise level of the fans. The noise can quickly become a nuisance, especially when several drying chambers are placed in one room. The versatility of drying chambers makes them outstanding workers in laboratories and in industry. Alongside the technical factors, make sure you consider the handling of the unit when making a purchase. A clever design soon pays off during everyday use in a lab setting. BINDER has decades of experience in designing drying chambers and can provide a suitable product series for every application scenario. We would be happy to advise you! Do you have any questions about the functionality and applications of drying chambers or would you like to learn about the specifications of our units? Then simply fill out the form below. A member of our sales team will be in touch as soon as possible to provide expert advice on your query.